M9D Lee Enfield Firing Pins are manually machined to order in Yorkshire from high quality locally sourced 01 Tool Steel. Based on original WD firing pin dimensions the M9D with improved surface finishes, both coarse (26tpi) and fine (30tpi) thread variants are available covering a wide range of models. Manufacture from Stainless and Titanium on demand, alternative materials available to order. 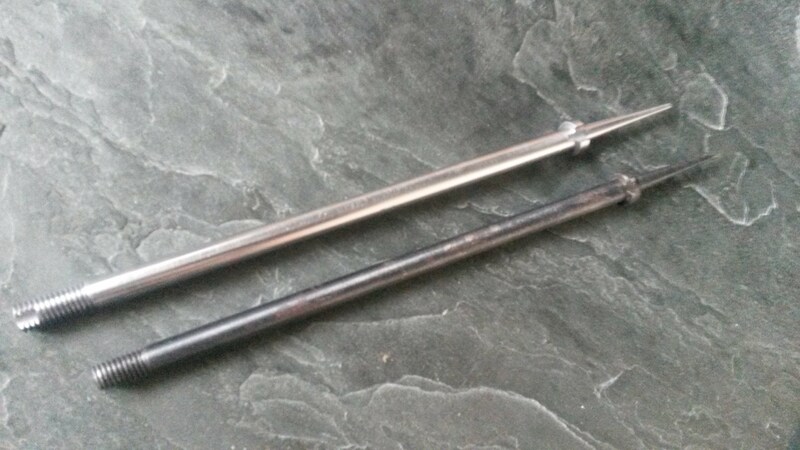 M9D 26tpi Lee Enfield Firing Pin in bright finish 01 Tool Steel shown with a NOS WD part.